“Tuesdays mean story time with Grammy” is what the patio stone in the garden at the Roseville Library says. We made a donation to have the stone placed in the walkway for one of my mother’s birthdays. She has been bringing at least one my kids to the Roseville Library every week for the past eight years. It’s a weekly trip my kids have always looked forward to. 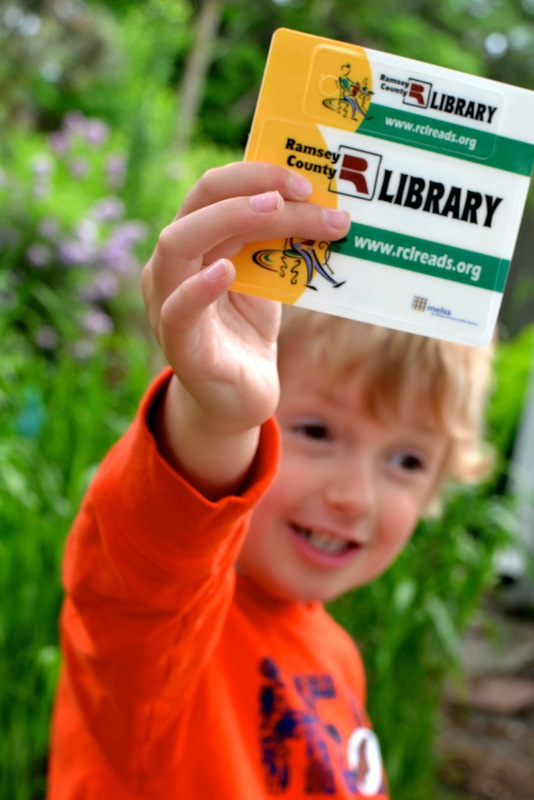 Today my son received his first library card. He couldn’t be more proud of himself. Congratulations! I have heard it said that teaching a child to be an independent reader is the single best way to assure their success in life. thank you, I’ve been lucky enough to have children who absolutely love to read/be read to.